REMINDER: This offer ends today. Rite Aid is offering 25 free 4 x 6 photo prints with coupon code: EPRNT at checkout. Choose to pick it up at a Rite Aid store near you to avoid shipping charges. You must have an account with Rite Aid to use this coupon code. Click here to go to Rite Aid Photo. 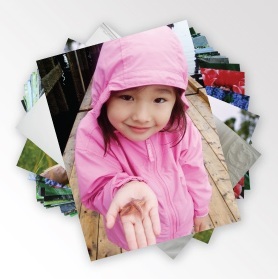 Today (6/12) only, Rite Aid is offering a free 5×7 or 8×10 photo print with coupon code: TUES6121E at checkout. Choose to pick it up at a Rite Aid store near you to avoid shipping charges. 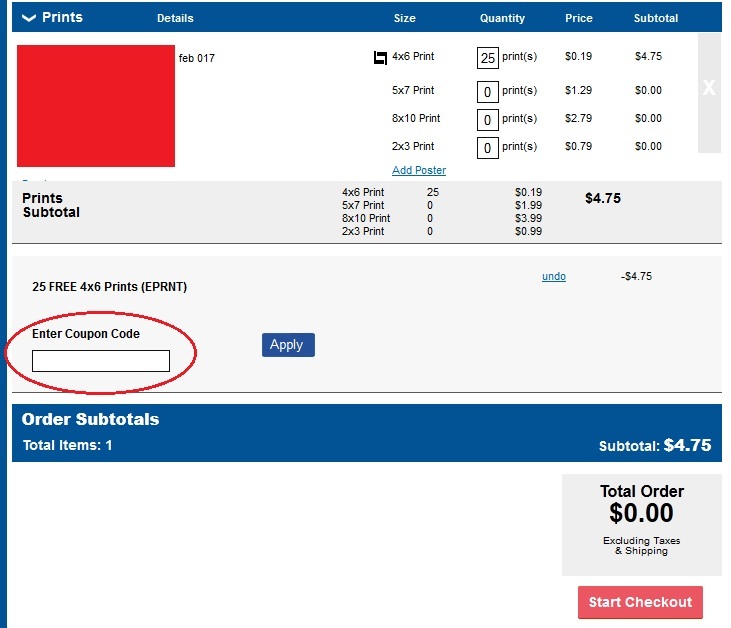 You must be logged in to your Rite Aid account (or create an account) to use this coupon code. Today (5/25) only, Rite Aid is offering a 8 x 10 photo print with coupon code: FBFREE8X10 at checkout. Choose to pick it up at a Rite Aid store near you to avoid shipping charges. Click here to g to Rite Aid Photo. Click here to go to the Rite Aid Facebook page to print a coupon for $2 off Maybelline Eye Shadow Coupon to use at Rite Aid! Hurry only 7,000 available. This coupon is a Rite Aid coupon and is only valid at Rite Aid but may be combined with a manufacturer coupon for extra savings. Click here to go to the Rite Aid Facebook page to print a coupon for a free 20 oz. bottle of Pepsi Next. Hurry only 5,000 available. This week there is a $4 coupon in the Rite Aid circular (also found in the circulars in the store) for Playtex baby care products, plus combine it with the $2 Playtex Manufacturer coupon. 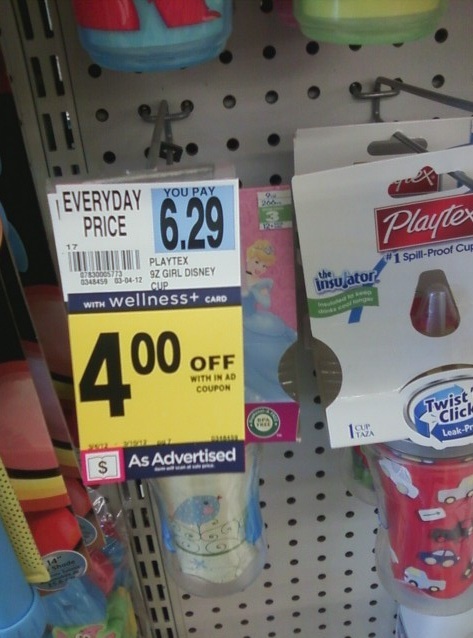 to get free pacifiers or cheap sippy cups. The $2 Playtex Manufacturer coupon sent by email that you get when you sign up to Playtex (should arrive within 24 hours), or if you signed up to Playtex when I posted Playtex deal at Target you can just go back to that email and print the coupon from there. Click here for more info on Rite Aid’s UP Reward program. 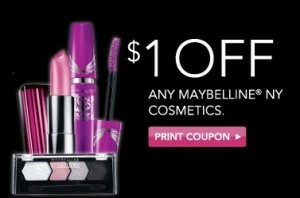 Rite Aid is offering a $1/1 Maybelline NY Cosmetics coupon on their Facebook page. This coupon is a Rite Aid coupon and can be stacked with a manufacturers coupon. Rite Aid has Maybelline NY for “buy one, get one 50% off” and there is also a $5 UPR wyb $20. The September Video Values offers are valid from Sunday 8/28 trough 9/24. Video Value coupons are coupons you can print from after you watch a short video about the product and these coupons are Rite Aid coupons so they can be combined with manufacturer coupons. Rite Aid is running an Oral Care +Up Reward from 7/27 to 9/27. Get a $5.00 UPR when you purchase $25.00 of any Oral Care items. June Rite Aid Video Values Coupons! Rite Aid’s June Video Value Coupons will be available sarting today. Click here to print a coupon for a Free box of any Breathe Right 10 count product at Rite Aid (a $5.99 value) coupon expires on 5/29 and limit one per customer and cannot be combined with any other offer.